Rebecca Solnit’s Men Explain Things to Me is my favorite read of the year so far. I borrowed it from the library, so I’ve been typing quotes and thoughts into a word document for reflection. This blog has a particular focus, and there are a few pages that talk about art writing in a way that I think syncs with the approach toward discussing art on the internet we’ve tried to maintain here. Not to try to divert any attention from what Solnit’s book is saying about a larger social realm, more trying to incorporate some of the wisdom and questioning into a clearer standard for myself here. These are some choice quotes from the chapter titled “Woolf’s Darkness”. The subject of the exhibition is rooted in landscape, and notions of wilderness and observation. The title, in part, refers to the act of seeing as becoming; meditative observation as a means to learn, understand and become. There is also a nod in there to the notion of live and let live, to allow nature and wildness to be, as the grateful observer. The truth is, See Be is far less a departure for Krueger than the press release leads us to believe. Krueger dips his toes into a new medium and new motivations. Longtime fans will be pleased, maybe only wishing for the appearance of a cowboy, hippy or poofy-haired heavy metal singer. It’s a funny moment for an artist, this sort of transition, so I’ll stop here, and let Krueger speak for himself. 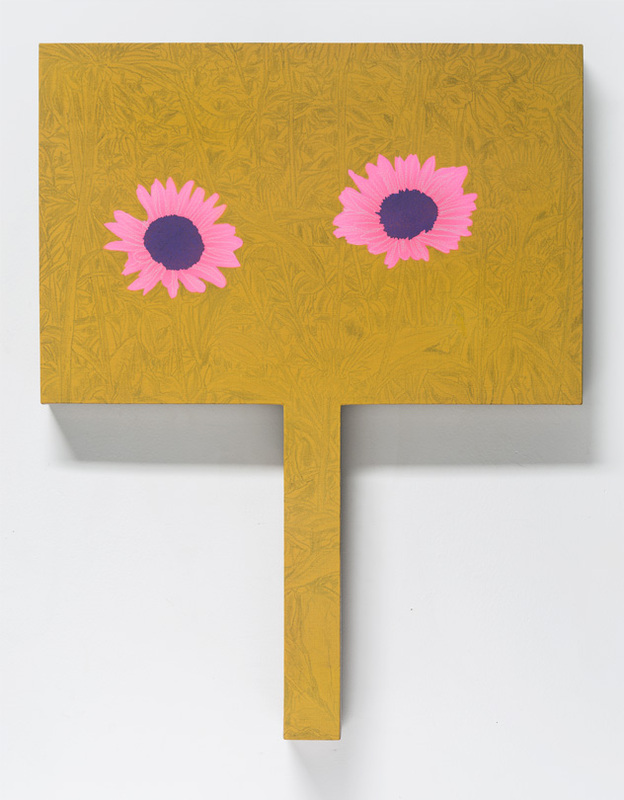 See Be is on view at Haw Contemporary in Kansas City until March 13, 2015. Read the rest of the press release here. More Michael Krueger. You were a part of our Tenses of Landscape exhibit a couple years ago, how has your take on landscape as a subject changed over the last few years? Yeah, I have been working with the landscape for about a decade now, at first sort of unknowingly, and with the last few bodies of work with deeper intention. For my exhibition See Be, I started with a full-blown study into early American painters of the West: Thomas Moran and Albert Bierstadt, others too. However, it might be difficult to see the association in the paintings I made, for which they are probably much better off. 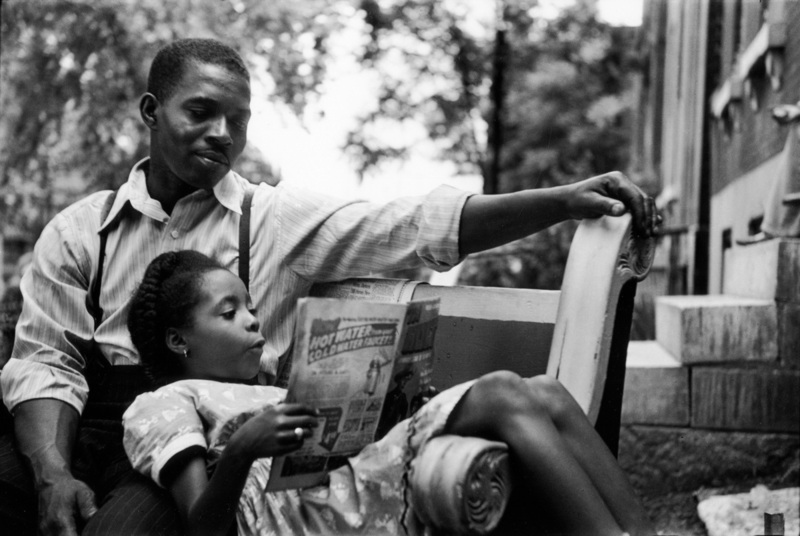 The Museum of Fine Arts in Boston is showing photos taken by Kansas native Gordon Parks. In some of the photos, taken in the late 1940s, Parks looked on places full of personal meaning. Places in Fort Scott, KS that played a part in his early life. In other photos, Parks looked up former friends and schoolmates, visiting and photographing them in Kansas but also in Columbus OH, Detroit, Chicago and St. Louis. The photos allowed Parks to explore his own past, as well as mark the life stories of African-Americans in segregated American. Huffington Post has a good write up of the exhibit, on view until September 2015. “Wall Drawing 519” by Sol Lewitt, 80’x11′ at The Spencer Museum on the campus of the University of Kansas-Lawrence. Another new acquisition–another triumph in their collection of 20th C. American art–at the Nelson Atkins, Charles White’s “Goodnight Irene”, 1952, oil on canvas, 47″x24″. 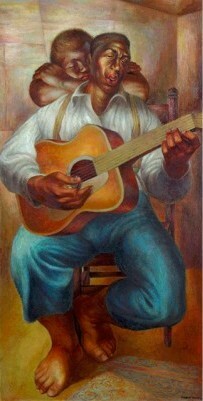 More Charles White. 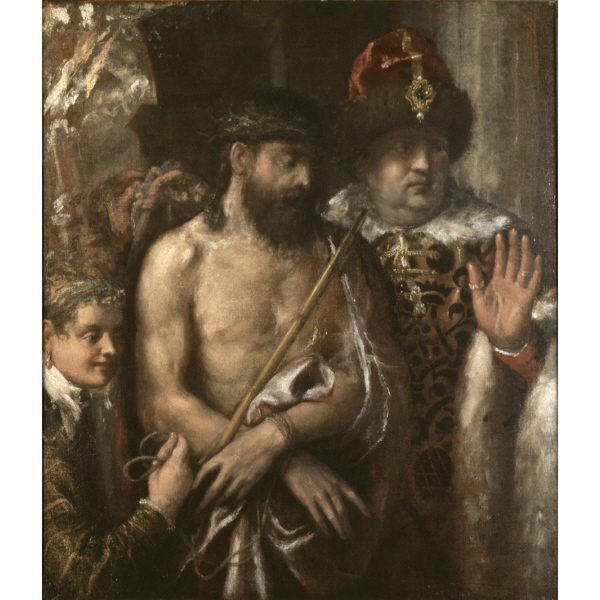 A beautiful late Titian from the St. Louis Museum of Art. This painting taught me so much about paint. Every inch of it telegraphs that it’s a scene made out of paint, nothing is more real or true than the paint itself and the painter using it push forth a story and a feeling. At that same time, not a single brushstroke, smear or wipe feels stylized in any way. I love this one so much. This 2013 interview with Ellen Dissanayake is a great read, definitely approachable and makes me–old and cranky as I am– think about looking at/making/talking about art in a different way. Her identification of what she calls 5 “proto-aesthetic operations” that all art (visual, performing and otherwise) uses has changed my thinking a few times over. As has her discussion of art as a form cooperation. Great stuff. Dissanayake–for those that don’t know–is the author of several books that explore art-making from an evolutionary standpoint, such as Homo Aestheticus, What is Art For? and Art and Intimacy. She makes the word “special” cool again, really.